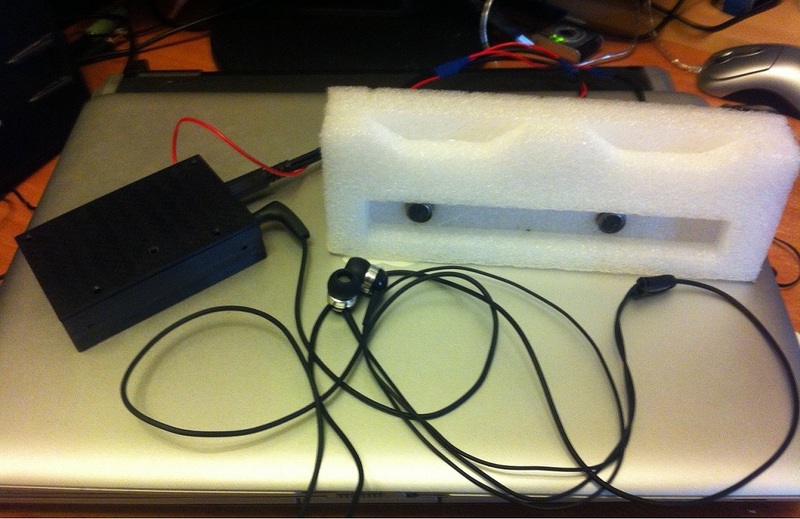 GritTec has developed a prototype of standalone device for listening audio source in the chosen direction on the base of miniature module 'm-board-vc33' and technology of active noise cancellation on the base 'microphone array with 2-th mics. Acoustic distance from audio source is not more 5 meters. Capacity battery is 12 hours of continuous operation. Device is recharged via a standard min-usb port, which is compatible with all chargers for Android devices. This device can be used in the systems of audio and video recording, call center, voice information stands, on-board car systems, robotics and so on.. In such systems this device can be easily integrated into the common system architecture and it is able to effectively select and listen the audio signal in the selected direction of sound source, with removing all other noises (background speech, music, environmental noise, etc.) coming from the directions, different from direction of the chosen audio source. To learn more contact us via Online Request form.